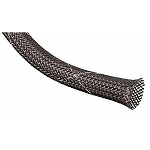 With its one-of-a-kind braided design, the PET Expandable Braided Sleeving is simple to install on a wide array of hoses and cables, even ones with bulky or large connectors. 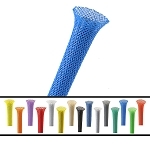 When fully expanded, it will reach three times its nominal diameter, this allows you to easily slide the sleeve over larger components and stretch it to a third of its nominal diameter for covering smaller parts. 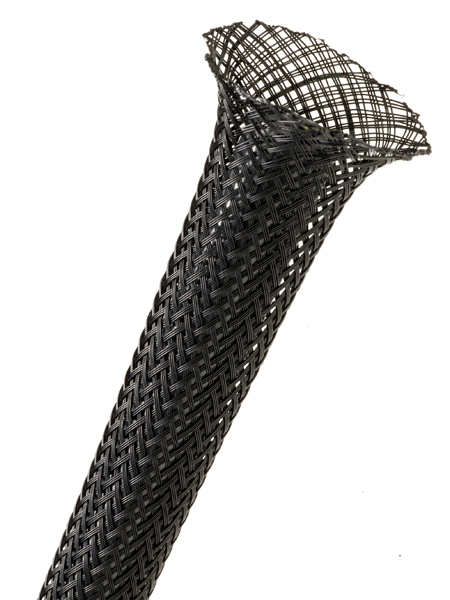 PET sleeving has a high tensile strength while still maintaining extreme flexibility. Also available in Flame Retardant with UL Ratings of VW-1 and FR-1. 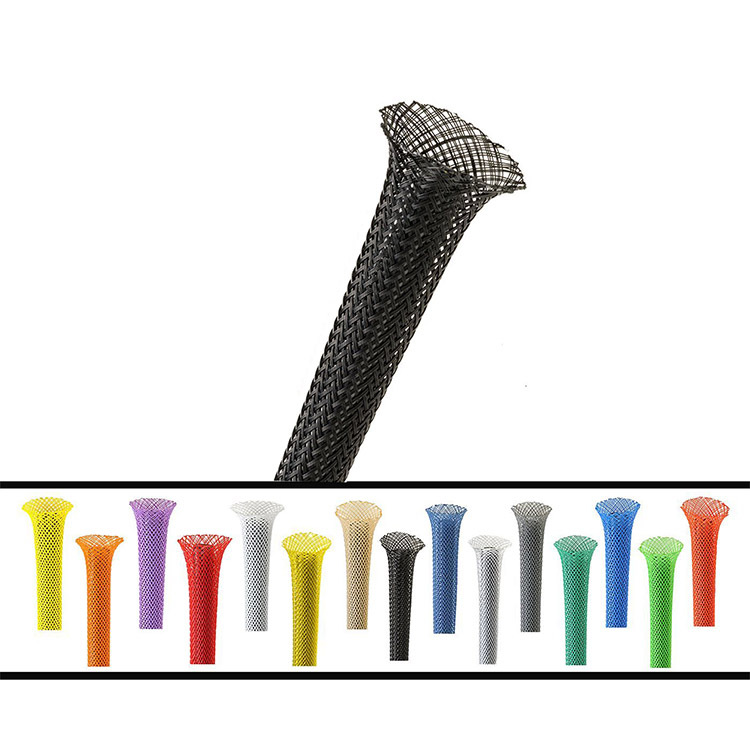 This lightweight weave is RoHS compliant and provides ideal chemical resistance, as well as resistance to moisture, rot and fungus (as defined by Mil Spec MIL-E-5272). I bought the 1/8" inch PET Expandable sleeve product with the intention of wrapping up some USB cabling that my youngest cat likes to use as a chew toy (and destroy multiple cables). The 1/8" was just a bit small for my application needs but the product is solid and I'll use it on my replacement cords for my headphones (cat got them too). Call with customer service was excellent. Im using this product for my camaro build, it is very easy to work with, and looks clean. This is perfect for protecting the wires I ran to add more lights on the back of my motorcycle. I can't see anything wearing through this. This is the second time I have purchased this sleeving in various colors. I used it on a boat restoration project to cover fuel lines, hydraulic lines, and electrical cables. It was mainly for aesthetics. The different colors for each just look terrific and as a bonus, have actually protected the lines and cables as they translate back and forth through the fiberglass cut-out in the boat hull as the outboard turns lock-to-lock. I haven't even notice ant significant fading, being in the sun. The product is of a good quality and finished well. Sent to Ireland and so delivery wasn't that quick. I would definately buy again. This product is perfect. I used it to cover oil lines and electrical wires on my 87 Harley rebuild. I used both red and black 1/4 and 3/8. Electriduct shipped very quickly had had prices less than half of Motorcycle shops or local sellers. Thank you guys, will definately order again on my next upcoming project, 1958 Airstream Trailer. 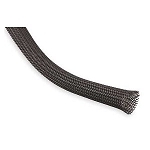 I have been looking for braided sleeving for my servos on my rc plane and heli's. The salesman I spoke to was very helpful and made it easy. The product showed up in a few days and worked great. Thank again..